When it comes to looking and feeling good, what you put in your body is just as important as what you put on it. Consuming the right vitamins, minerals and nutrients in combination with a healthy diet and exercise not only makes you feel better and protects your body, but it can also have an impact on your outer glow. Keeping your skin healthy requires both protecting it from outside forces and reinforcing it from inside your body. First and foremost, keep your skin’s glow by protecting it from sun damage. Apply a broad-spectrum sunscreen with an SPF of 15 or greater at least 15 minutes before sun exposure and wear protective clothing if you’re going outside. Your diet also directly impacts your skin cells. You don’t want to run low on elements like vitamin A, which promotes healthy skin appearance and texture, or biotin, which helps support hair, skin and nails. Try a supplement that specifically targets hair, skin and nails to provide these and other nutrients. Good bacteria, called probiotics, are necessary to help your body function at peak productivity and are mostly known for their role in digestive health. You can find probiotics naturally in fermented foods like yogurt, but if you’re not getting enough from food sources, try supplementing with a probiotic made specifically for women. Some formulas contain cranberry extract, which can be an added benefit for urinary tract health. Women’s bodies naturally form enough new bone cells to replace the bone that is regularly broken down by the body until about age 30. However, after your mid-thirties, your bones slowly begin to lose mass. Joint and bone concerns tend to be higher among women than men in every age group and increase with age. 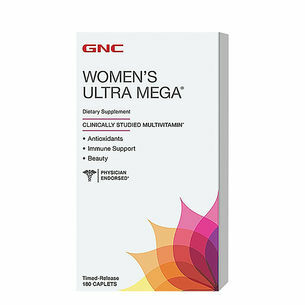 That makes it crucial for women to meet their daily calcium and vitamin D needs to support bone health. Adding a supplement such as a multivitamin that contains both vitamin D and calcium to a healthy and balanced diet is a great way to help keep your bones strong. Fish oil can be an ally in cognitive, heart, joint and skin health. It’s the omega-3 fatty acids EPA and DHA in fish oil that provide all these benefits, but they’re two elements that our bodies don’t produce naturally. Eat fish high in these healthy fats, like salmon, four to six times a week to get the recommended amount. 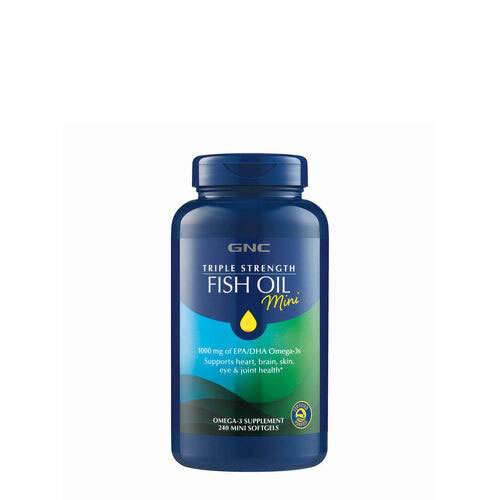 A GNC fish oil supplement is another vehicle to get these omegas and is free of excessive levels of mercury and other toxins that are sometimes found in fish. Protein is the go-to for supporting muscle. Maintaining lean muscle is important for women of all ages and activity levels. The amount of protein you need is individual, but a general target for healthy people is 30 grams of protein at every meal. Eat protein throughout the day to provide your body a steady stream of fuel – don’t just overload at dinner. 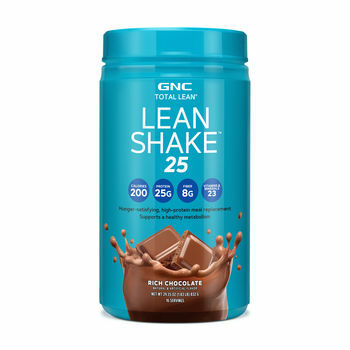 You can also grab an easy-to-drink protein shake in the morning or at lunch if it’s hard for you to get all that protein in a tight timeframe during a hectic day.